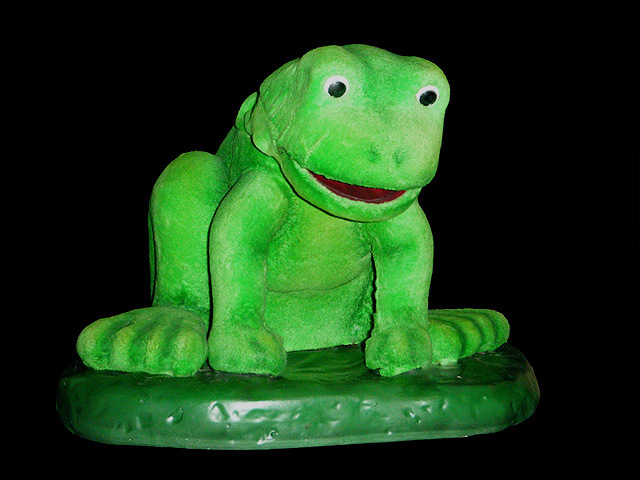 This is an Audio Animatronic Frog with four moving parts. The eyes, the mouth, and the head and neck moves in all directions. Programing is stored as DTMF sounds on a sound track along with the frogs audio.